In the last couple of months Congress has introduced several bills that affect veterans’ health care. The Veterans Access to Child Care Act would make it possible for eligible veterans receiving certain types of care at a VA facility to receive help with child care. To be eligible, a veteran must be the primary caregiver for one or more children and be receiving either mental health care or other types of intensive health care at a VA facility that require them to travel back and forth in order to receive that care. A veteran would also be eligible if he or she is in need of such health care but not able to get it because of a lack of child care. 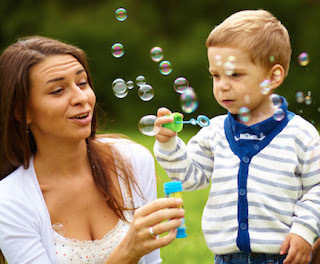 Child care assistance may include care provided at an on-site child care center at the VA facility or financial assistance of some sort to help pay for care at a licensed child care facility. The Chiropractic Care Available to All Veterans Act of 2015, introduced in the Senate earlier this month, would require the VA to provide chiropractic services to all veterans at VA medical facilities. The timeline to put this into place would require chiropractic care to be available at a minimum of seventy-five VA medical centers by the end of 2016 and in all VA medical facilities by the end of 2018. These bills have just been introduced, so there is no way of knowing at this point if they will ever become law. However, we are encouraged that these issues are being looked at as ways to improve veterans’ access to improved care and quality of life. We will keep an eye on them and keep you informed about their progress. Help for Caregivers on the Way?